GARTH CELEBRATES 5 MILLIONTH TICKET! LOS ANGELES- February 24th, 2017- Garth Brooks celebrated the five millionth ticket sold on The Garth Brooks World Tour with Trisha Yearwood and nine sold out concerts last tonight at Rogers Place in Edmonton, AB. On the 1996-1998 tour the five millionth ticket was in College Station, TX during November 19 – 22, 1998 at Reed Arena. It was the 100th city on the tour. This time, it has only taken 60 cities. The tour is presented by Amazon Music Unlimited. 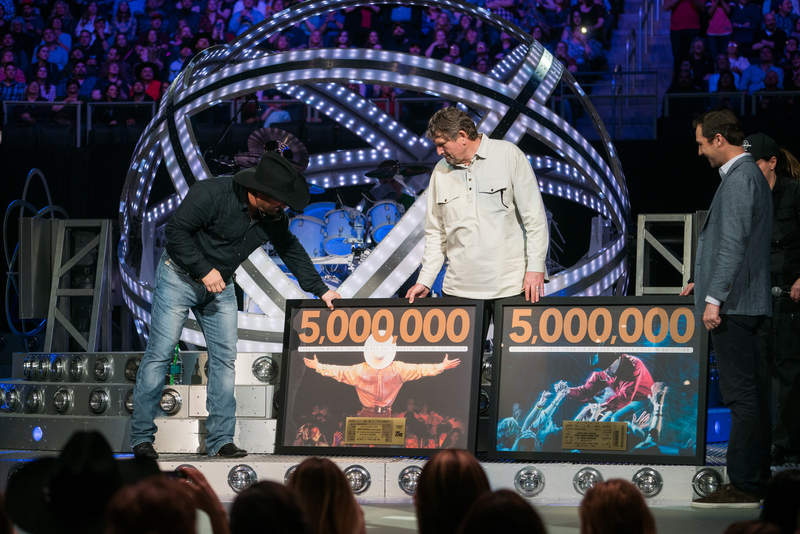 Twitter fans had #Garth5Million trending, sharing their Garth memories and concert highlights. Garth himself posted a video on Facebook just before going to greet the five millionth ticket holder. The surprise presentation began as Trisha interrupted her own set to invite up Jared Smith, President of Ticketmaster and Michael Evans, President of Arenas for Live Nation. 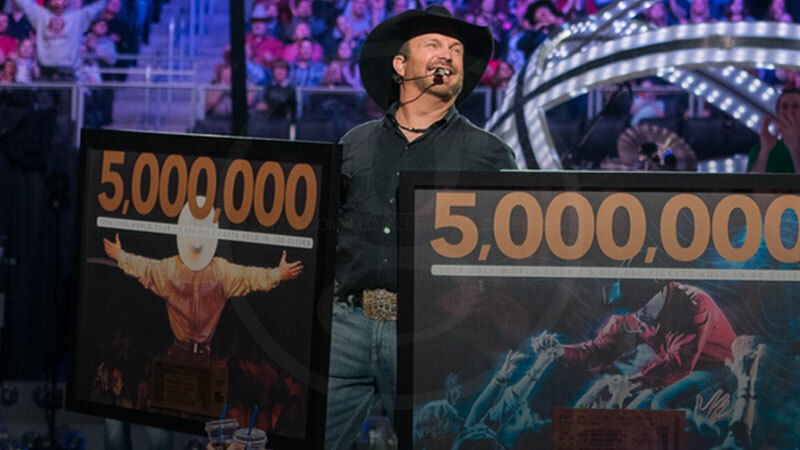 They presented Garth with a commemorative plaque honoring the five million tickets sold in 100 cities during the 1996-1998 world tour but they then presented Garth with a second plaque honoring the five millionth ticket sold in just 60 cities during the current tour. 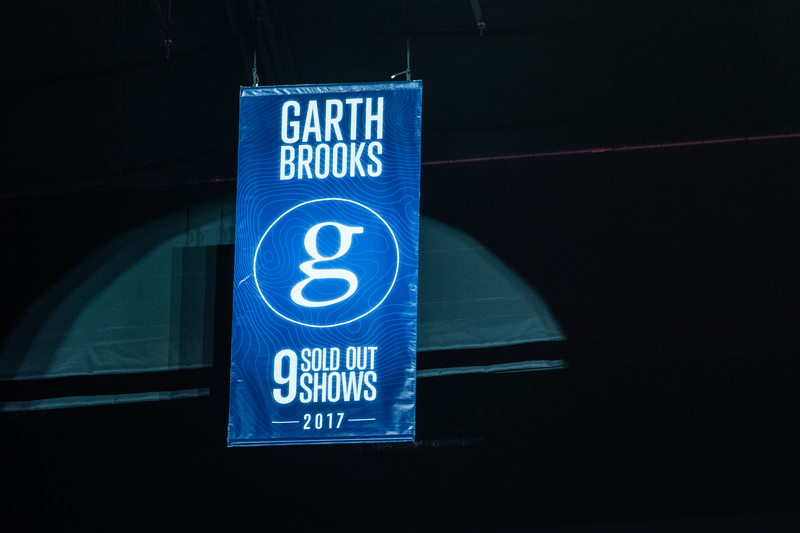 Garth Brooks and Ticketmaster have been working together for more than twenty years to ensure tickets get into the hands of real fans. 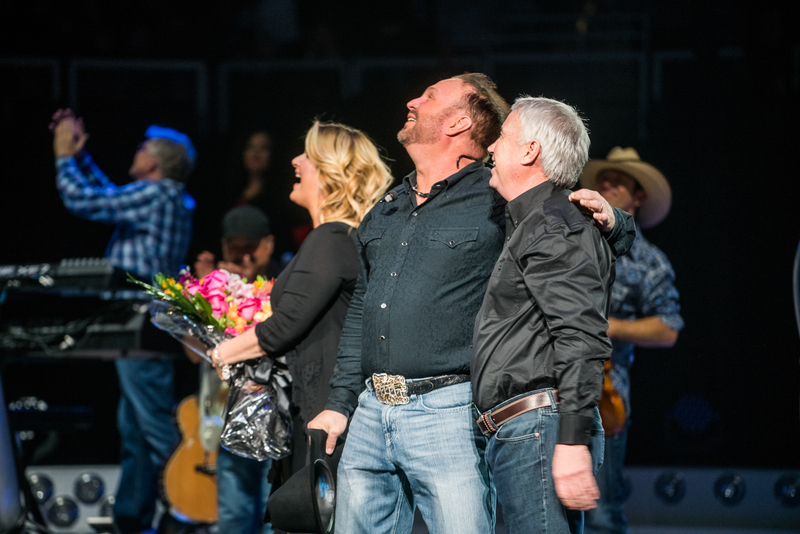 As Garth tried to leave the stage so Trisha could finish her set, Trisha stopped him and invited up Bob Nicholson, Oilers Entertainment Group CEO & Vice Chair and Susan Darrington, General Manager of Rogers Place. They ascended the stage to unveil a new banner hanging from the rafters, celebrating the five millionth ticket sold and nine sold out concerts played at the new Rogers Place in Edmonton. The banner will hang alongside the championship banners of the Edmonton Oilers and Edmonton Oil Kings. 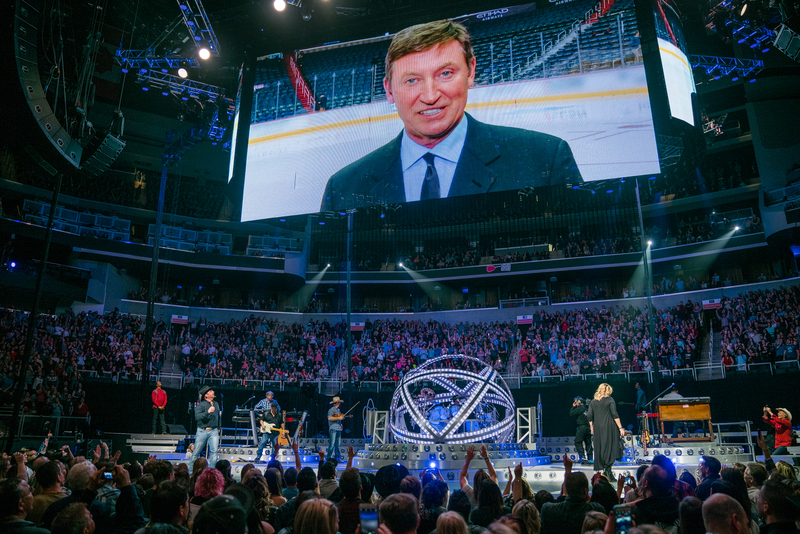 Garth tried to leave again but Trisha stopped him one more time for a very special video message from Wayne Gretzky that played on the big screen. What followed was roaring applause as Garth took in the newly hung banner.